Katie Cooke is a 20-year-old competitive runner from Dublin. Due to an aggressive form of epilepsy, she experiences up to 14 seizures a day. 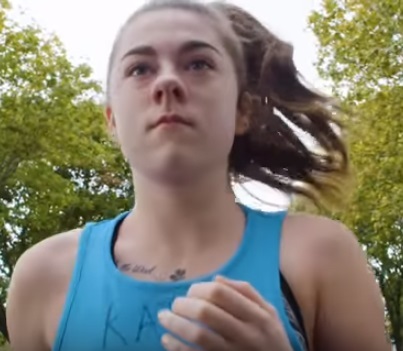 Despite her condition, Cooke hasn’t let anything stand in the way of her love for running. With the help of her neurologist, who doubles as her running partner, Cooke is never steered off course. With each seizure, she is able to bounce back and keep on going.